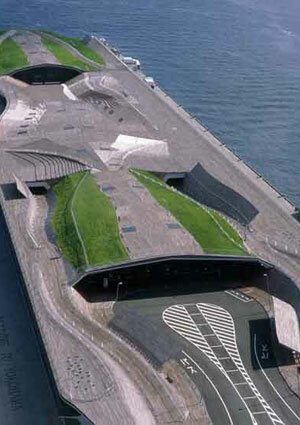 Viu Rebés is perhaps most well known for his role in the design of the Yokohama International Port Terminal by Foreign Office Architects (FOA), a design heralded for blurring the boundary between landscape and structure (see image above). He’s a practicing architect and editor in chief of the Andorran boutique architectural publishing house Editorial Andorra. Viu Rebés descibes himself as a person who cooks, fishes, and runs a bed and breakfast in the Pyrenees, which serves local organic produce. To call Viu Rebéss passion for farming a side project would be an understatement. 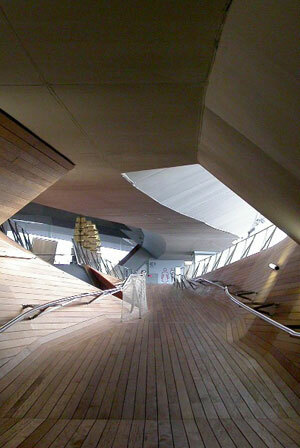 To say it’s an influence on his design would be reductive. He is one of those rare individuals whose professional and personal lives operate in tandem. “The way to improve the profession,” Viu Rebés said, “is to constantly look through different lenses.” As his strenuous years on the Yokohama team would indicate, he’s capable of putting in long days in the studio, but he credits his success as a designer to close, patient observation and openness to broad influences. 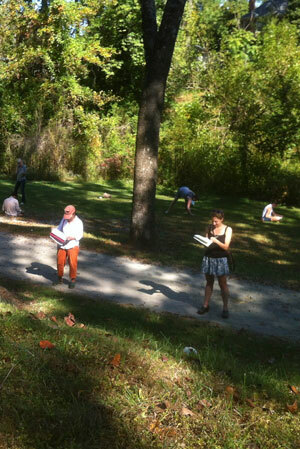 This philosophy of rigorous, slow observation formed the basis of the drawing workshop at the University of Virginia. On an unseasonably warm Saturday morning in early October, Viu Rebés walked two-dozen undergraduate and graduate design students to a nearby day-lit stream. After marking off a grid with 200-foot lengths of cotton twine, he assigned pairs of students to each grid line and presented the exercise: spend two hours registering anything along the linear course that interested us, with whatever notation we felt best conveyed our objectives. In macro view, the site was fairly homogenous — a sloping mowed field interspersed with hardwood trees and crossed by a wide gravel path. Viu Rebés encouraged students to pace their grid lines several times before choosing what to chart, to look at elements above, below, and directly touching the line of string, and avoid being too literal in how conditions were represented. For two hours we stood, stooped, sketched, and studied. 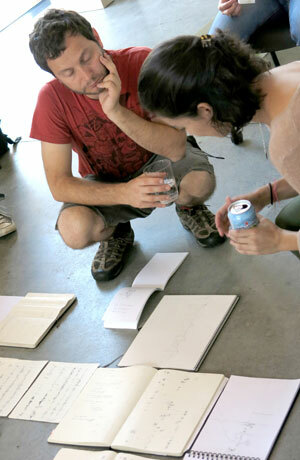 Afterwards, we returned to the studio to discuss our drawings and observe what happened at the intersections. Back on campus, Viu Rebés emphasized the ability of abstract representation to reveal unseen relationships that become inspiration for designs. “Abstract drawings have power,” he said. “They can become other things.” By way of example, he pointed out that many of our drawings were visually similar to musical scores. Twenty years later, what does he think of the project? “After all these years, I’m more interested in the life behind buildings than the buildings themselves,” Viu Rebés said. 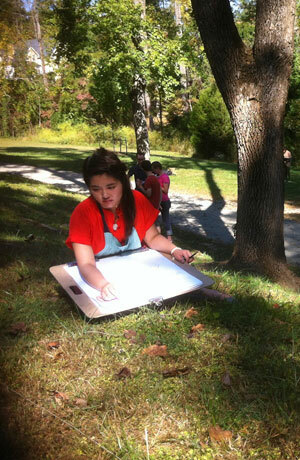 This guest post is by Emily Vaughn, Masters of Landscape Architecture candidate, University of Virginia. I appreciate the point that it takes time to observe and become aware – thank you for the reminder!